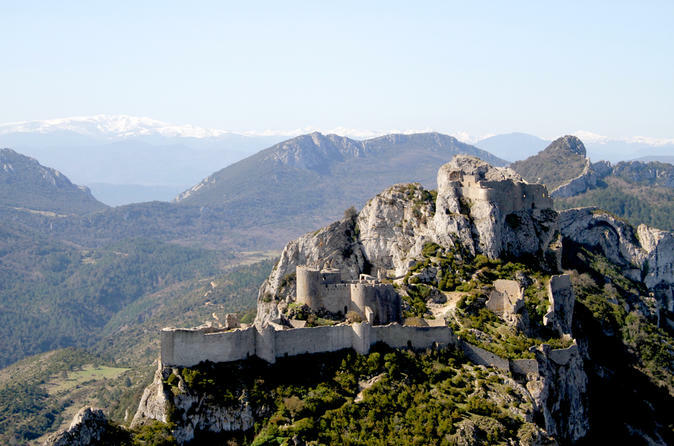 Discover the Cathar Castles by helicopter! Discover the medieval heritage of Languedoc-Roussillon and relive the Cathar saga with this helicopter flight from Perpignan Airport. When you arrive, you will be greeted by your experienced pilot who will share his passion and show you the area where the lords of the north and de south fought. Before flying, the pilot will explain you the safety procedures. the Peyrepertuse fortress, spanning the Corbières massif and the Quéribus fortress, nestled on a vertiginous rock. Finally you will fly over the small village of Estagel before your return to Perpignan. Discover the Vermeil Coast with this helicopter flight from Perpignan! When you arrive, you will meet your experienced pilot who will share his passion, show you the coast line and explain the safety procedures. During this 30 minutes flight you will see amazing landscapes...You will fly over Canet en Roussillon, Saint Cyprien and Argelès sur mer. 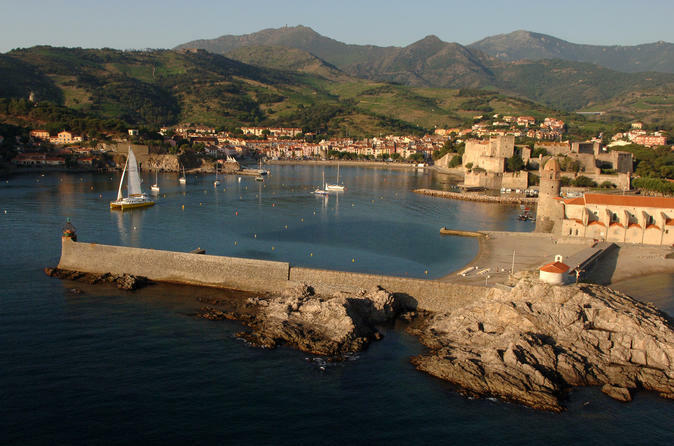 you will enjoy views of Collioure, a charming Catalan Village. You will see Valmy castle at the top of Argelès sur mer and the Raho lake. You will discover all the beauty of the Pyrénées-Orientales. Enjoy this fantastic helicopter fly to a famous typical Spanish restaurant! After a funny tour above the Roussillon plain, we shall fly on the Albères ( end of the Pyrénées mountain ) and we cross the frontier to land on at " Can Xiquet" resort, a famous restaurant where you will taste the Catalan meals and wines of Ampurdan Country! 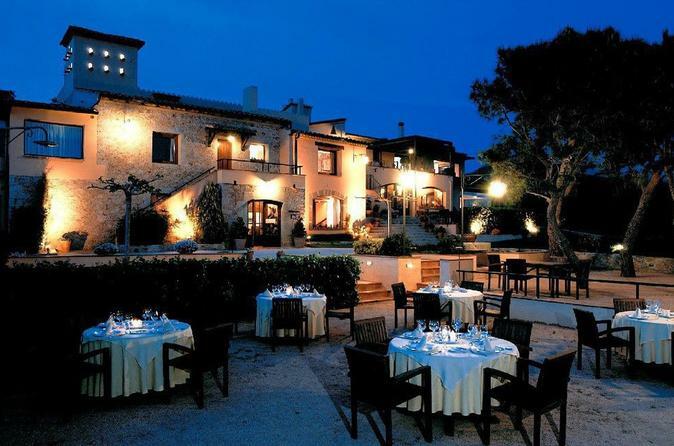 The resort located close to the village of Cantallops (Spain) will surprise you with its beautiful view of the Bahia Roses! A sweet way of life for people who need authentic Mediterranean culture!